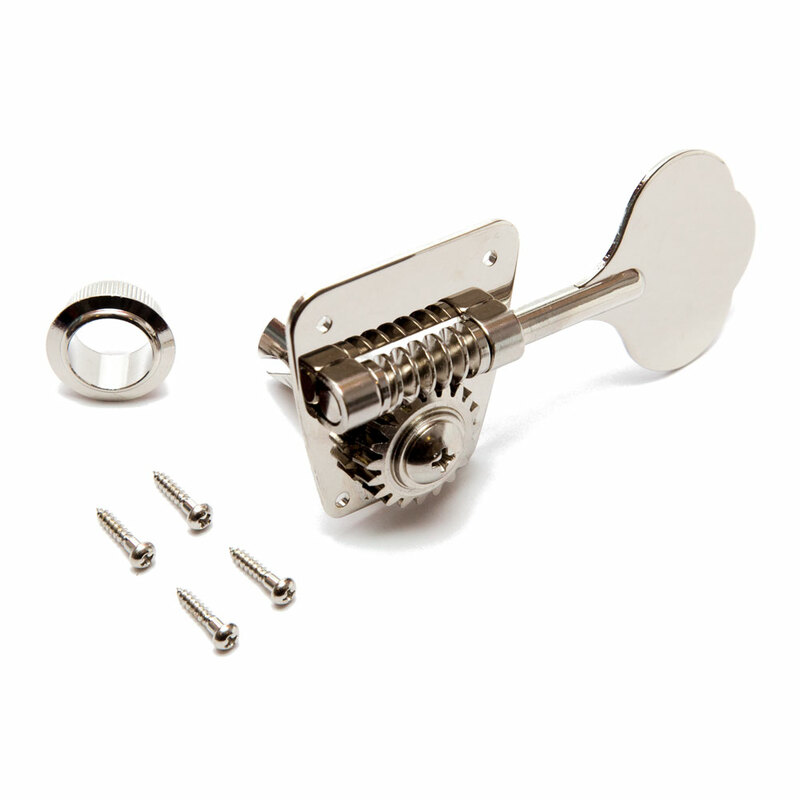 This set of 5 string Gotoh FB-30 bass tuners come in the classic open back, elephant ear/clover leaf button design and feature a 1:20 gear ratio for tuning up quickly and accurately. Their size fits most Fender CBS Style USA '67-'82 Fender P & J Basses. The included screws fix the tuner to the back of the headstock and the knurled push fit bushing secures the string post on the front of the headstock. This set is in a 4 x 1 tuner configuration (4 on the top, 1 on the bottom of the headstock).